From Executioners, to Island Vacations, most of these collections can be read on their own, but they're better if you're familiar with the Amaranthine Universe. Executioner is the name given to the vampires’ elite enforcers; those who uphold The Laws and administer punishment. In Volume One meet some of those enforcers, learn their origin stories, feel their heartbreaks, their joys, travel with them on assignments, and see how The Guild came to be – but always, always, be wary of their leader, Malick. 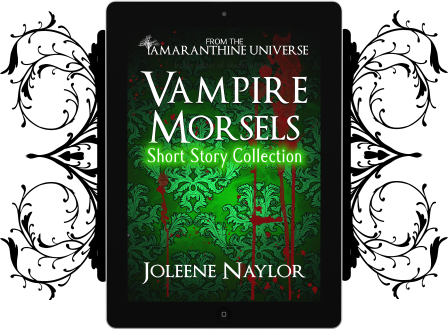 Contains expanded versions of some stories, available exclusively in the collection, as well as collection exclusive stories. Also includes the Executioner Timeline to help keep everything straight. 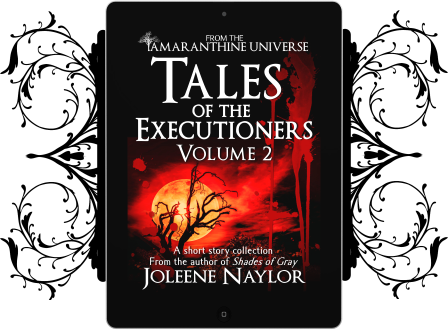 Volume Two continues the stories of the Executioners, the vampires’ elite enforcers who uphold the Laws and administer punishment. 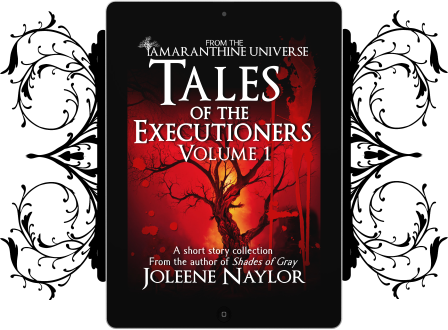 Meet thirteen Executioners, hear their stories – from romance to heartbreak – and see through their eyes as Malick’s madness spirals out of control, leading to rebellion, betrayal, and death. Includes part 2 of the Executioner Timeline. Seventeen short stories about the characters who fell through the cracks in Shades of Gray and Legacy of Ghosts. Find out what happened to Sarah. Read Jesslynn's origin story. Discover what Verchiel had to do with Elsa's immortality and step inside Arowenia's kidnapping. Stories may contain spoilers for the Amaranthine novel series. 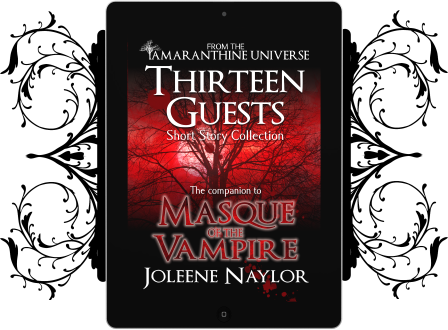 Thirteen short stories set during the events of Masque of the Vampire. Every fifty years, Andrei throws an expensive house party for the creme de la creme of the vampire world. With attendance down and news of dangerous events in the world, Andrei invites some new faces and requests security, pulling Jorick and Katelina into a swirl of intrigue and mysterious vampires. But, there's only so much time in the novel, and only so much Katelina can see. Discover the things she didn't and enjoy thirteen stories, told through the eyes of the guests themselves. Dive into their histories, share their pain, their joy, and their hopes in the days leading up to the party. 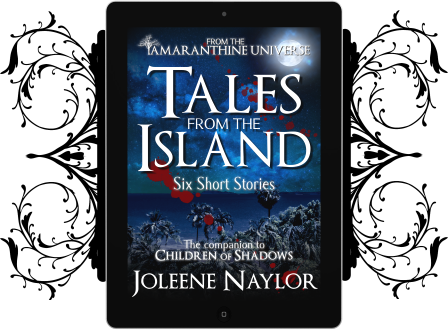 This is a collection of six short stories that fit between the Amaranthine novels Heart of the Raven and Children of Shadows. The're meant as a supplement to the series may or may not make sense if you haven't read the novels. They may also contain spoilers. 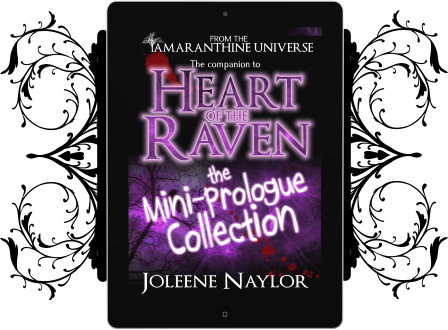 Nine flash fiction prologues for the book Heart of the Raven, the fifth novel in the Amaranthine vampire series. These stories are not intended to stand on their own, but as a supplement to the novel. Meet Cyrpus, Neil, Sadihra, Wolfe and others as they go about their business the day before Heart of the Raven opens. None of them know that their fates will soon become intertwined, or that their seemingly unimportant actions may have consequences that will echo for a lifetime to come.